It’s been almost a month since the election, and I still feel incredibly grateful for everything this team did to help us win. After meeting my future colleagues in the Senate a few weeks ago, I’m more eager than ever to head to Washington and fight for our values. Our government is built on a system of checks and balances, and I promise you this: I will be one hell of a check and balance on President Donald trump. Hate has no place in the White House. If trump is serious about being a president who brings this country together, he must set an example. Enough with the tax breaks for corporations. Enough with the tax breaks for Big Oil. How about we give a tax break to working families? Dark money is a threat to our political system. Overturning Citizens United is only the first step to ridding politics of money. Climate change is real. We must protect our precious resources, including the air we breathe and the water we drink. Social Security and Medicare are promises. I will oppose any attempts to cut or privatize Social Security and to turn Medicare into a voucher program. Our diversity is our strength. As the first Latina senator, I will use my seat at the table to fight for diversity. Building walls is NOT the answer. We must pass comprehensive immigration reform with a pathway to citizenship. Until we do, I will do everything in my power to keep families together and protect important programs like DACA. We are union strong. Working men and women built this county. The fight for pay equity is not over. Women should earn the same as men for performing the same job. I am so honored to have been chosen to fight for you in the United States Senate, and we have a lot to fight for. I’m ready to roll up my sleeves and be that warrior for you, but I’ll need you standing by me every step of the way. If you haven’t already, join me on Facebook, Twitter and Instagram, and then add your name to say you’re all in for the fights ahead. ¡La Lucha Sigue! The fight continues! Most folks seem to be so divided between Hillary Clinton and Bernie Sanders that they’ve not even bothered to notice there is another viable candidate in the race who has some pretty good ideas, but who is stuck at 1-2% in the polls: former governor of Maryland, Martin O’Malley. We are a nation of immigrants – whether our ancestors came from Ireland or from Mexico, or whether they immigrated here generations ago, or whether our parents brought us to the United States. But today, this fundamental characteristic of our country – the diversity that makes us great and enriches each new generation – is being eroded. Our outdated immigration laws no longer meet our economic needs, our national security imperatives, or our values as a people. They fail to reaffirm our founding ideal, e pluribus unum – that out of many, we are one. As a nation, we must honor our proud legacy as a nation of immigrants and maintain one of America’s key strategic advantages: that people all over the world still dream of becoming Americans. To continue to attract the next generation of strivers, dreamers, and risk-takers, and to be true to the values we hold dear, it is imperative that we pursue a dynamic, modern approach to immigration policy. This will require a new push for comprehensive immigration reform – and new leadership that is willing to work tirelessly until it is finally accomplished, once and for all. There is broad consensus on how to fix our inhumane immigration system, but for all those waiting to immigrate – and for all those already here waiting to be legally included – reform cannot come soon enough. In 2013 alone, more than 72,000 parents were torn from their U.S.-born children. One out of five undocumented adults today is at risk of being separated from their partners. Even a visit from relatives can turn into a decades-long waiting game. New Americans have endured the uncertainty and fear of legislative inaction for far too long. They deserve to know that when they go to work in the morning, their contributions will be valued, and that they’ll return home safely to their children. The next president must provide that assurance. And he or she can do so immediately by using the full power of the presidency to secure administrative relief for millions of New American families. To give Congress a running start on advancing a lasting legislative solution, Governor O’Malley is committed to providing that relief his first year in office. From expanding the use of deferred action and exercising discretion to keep families together; to rewriting punitive regulations and ending harmful law enforcement policies; to greatly limiting detention and restoring due process to our immigration system; an O’Malley Administration will use all legal and executive authorities to safeguard and welcome New Americans and restore greatness and justice to America’s immigration system. Deferred action is the broadest, most inclusive, and most important relief that the next president can provide immigrant families. It allows hard-working individuals who already have strong ties to the United States to continue working and contributing to the good of our nation – and to do so within the framework, the opportunities, and the responsibilities of our laws. 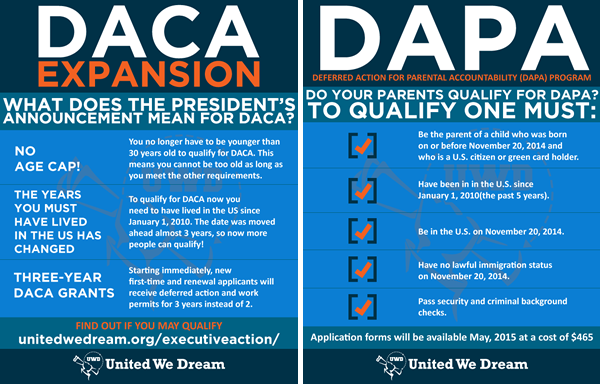 Expanding deferred action is well within the president’s legal authority, based on the actions of previous presidents and the longstanding features of American immigration law. While President Obama’s efforts to expand deferred action have been delayed by baseless conservative challenges in the courts, Governor O’Malley is confident – and legal experts almost universally agree – that they will be upheld. But whether or not the president’s executive actions triumph at the courts, O’Malley is committed with moving forward with the additional steps outlined below. Provide Deferred Action to the Greatest Possible Number of New Americans. To start, O’Malley would direct the U.S. Department of Homeland Security (DHS) to provide immediate relief from deportation, with work authorization, to all individuals covered by the Senate’s comprehensive immigration reform proposal. 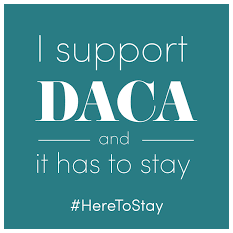 This includes the parents of U.S. citizens and lawful permanent residents, as well as all individuals who have strong family and community ties – such as parents of DACA recipients or of young foreign-born children, individuals who have long-term residence in our country, and all young people who entered the United States before the age of 21. The goal is to get as many immigrants who are productive, contributing members of society onto the books and more fully included in our economy. Too many barriers exist that prevent immigrants from legally living and working in the United States. Many immigrants who are entitled to lawful permanent resident status (also known as a green card) must first return to their home countries. Yet if they previously lived in the United States while undocumented, they are then barred from re-entering the United States for three to ten years. This 1990s policy creates a Catch 22 that needlessly hurts American families, punishing individuals even if they are now eligible to legally remain in the United States. Grant Broad Waivers to the Three- or Ten-Year Bar. While waivers are available to the three- and ten-year bar, very few people are eligible for them. Today, applicants qualify for a waiver only if their bar creates “extreme hardship” to their U.S. citizen parent or spouse. Hardship to the immigrants themselves – or to their children, even if they are U.S. citizens – is not a factor in this decision. O’Malley would immediately issue guidance broadly interpreting “extreme hardship” to greatly limit the three- and ten-year bars, while working with Congress to achieve a permanent repeal. Expand Parole-in-Place. Parole allows immigrants who have resided in the United States unlawfully to have a U.S. citizen of lawful permanent resident sponsor them for a green card without triggering the three- and ten-year bars. DHS already has the authority to parole individuals for humanitarian reasons or significant public benefit. Indeed, DHS already implemented parole-in-place for the families of members of the U.S. Armed Forces. O’Malley would issue guidance expanding parole-in-place to benefit all spouses, children, and parents of U.S. citizens and lawful permanent residents. Naturalization is an essential tool for New Americans to have access to the rights and responsibilities of citizenship. It is the foundation on which America’s immigration success story relies. However, barriers to naturalization have resulted inmore than eight million lawful permanent residents who are eligible to naturalize, but have not yet done so. Conduct Sustained Naturalization Outreach. O’Malley will undertake significant outreach and educational programs to promote naturalization, including U.S. agency, media, and community outreach. This will include directing U.S. Citizenship and Immigration Services (USCIS) and Customs and Border Protection (CBP) to identify and encourage lawful permanent residents who are eligible for citizenship to naturalize, while also expanding access to naturalization by lowering fees as appropriate. Health care access is critically needed to strengthen the wellbeing of communities and our nation’s economy. However, New Americans disproportionately lack health insurance because of statutory and regulatory restrictions. Rescind the Regulations Restricting Health Care for DACA and DAPA-Recipients. The Affordable Care Act provides access to the health care exchanges, tax credit subsidies, and other benefits to individuals who are lawfully present in the United States. However, a 2012 U.S. Department of Health and Human Services regulation excluded individuals with deferred action under Deferred Action for Childhood Arrivals (DACA) from these affordable health insurance options. O’Malley will rescind this regulation, providing health care access to the approximately five million individuals who are or will be eligible for deferred action under DACA, the proposed DACA expansion, and forthcoming Deferred Action for Parents of Americans and Lawful Permanent Residents (DAPA). Conditions at immigrant detention facilities are deplorable – and those locked up in them are incarcerated not because they committed a crime, but because they are due to appear months or years later in immigration court. The system denies immigrants due process. It rips apart families. It traumatizes children. And taxpayers pick up the bill. The Obama Administration has announced a number of reforms to detention policies, but none go far enough – in all but extraordinary circumstances, immigrant detentions must end for good. Limit Detention to Only Those Who Pose a Clear Threat to Public Safety. The only individuals who should be detained are those who pose a clear threat to public safety or national security. O’Malley will direct DHS to use alternatives to detention for the vast majority of people. He will end the practice of holding children and families in detention centers. He will also end the detention of other vulnerable immigrants, especially LGBTQ individuals. This includes using the family placement and community-based supervision policies he successfully implemented in Maryland. End the 34,000 Bed Quota. Congress requires DHS to maintain 34,000 beds in immigrant detention centers. The agency has historically interpreted this quota as setting a minimum number of beds, and entered contracts with detention centers that require the beds to be filled. Detention numbers should reflect of our actual public safety and national security needs, not an arbitrary target. O’Malley will issue guidance that DHS treat the bed mandate as a ceiling, not a floor – while working with Congress to establish funding levels for detention that reflect our public safety priorities. Close Inhumane Detention Facilities. 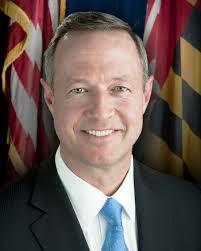 O’Malley will close or upgrade costly, inhumane, and violent detention centers. This includes the short-term facilities on the U.S.-Mexico border that often do not meet established detention standards. O’Malley will ensure the humane treatment of all detained individuals, increase oversight and monitoring, and bring criminal charges against bad actors. He will also work with Congress to codify higher detention standards and give immigrants a private right of action to enforce these accountability mechanisms. Existing laws deny immigrants basic due process protections and foster fear and mistrust of law enforcement. Thousands of immigrants are jailed without a bond hearing while they fight their deportation cases. Immigrants are transferred to detention centers thousands of miles from their homes, do not have access to lawyers, and are pressured to accept deportation to escape the deplorable conditions. Expand Due Process Protections in the Detention and Immigration System. Our current system lacks due process protections in the judicial and detention context. O’Malley will implement critical reforms, including providing counsel for immigrants in deportation proceedings, increasing the number of immigration judges and courts, ending telephonic and video hearings for detainees, ensuring language access, and holding detention facilities and DHS personnel accountable for constitutional rights violations. Prevent Racial and Religious Profiling. Current S. Department of Justice (DOJ) guidelines include loopholes that permit DHS agencies, such as the Transportation Security Administration and the CBP, to profile Americans based on their ethnicity and religion. O’Malley would work with DOJ and DHS to close these unfair loopholes and uphold our constitutional rights. President Obama’s Task Force on 21st Century Policing called for federal immigration enforcement to be “decoupled” from routine local policing. Our policies have fallen short of their goal to pinpoint and detain individuals who pose a clear and present danger to public safety. Instead, they have created an indiscriminate dragnet that can encourage racial profiling. This undermines the credibility of law enforcement efforts and hurts community safety, eroding the trust between immigrant communities and local law enforcement that is critical to identifying and removing dangerous individuals from society. Limit the Use of Detainers and Notifications. DHS cannot continue to expect local law enforcement agencies to bear the costs, risks, and liability of holding immigrants based on incomplete investigations and inadequate evidence. O’Malley will direct immigration enforcement agents to obtain warrants from a judge, like any other law enforcement agency, in order to detain immigrants. O’Malley will also direct immigration enforcement agents to stop the routine issuance of U.S. Immigration and Customs (ICE) notification requests under the new Priority Enforcement Program, which may lead to unlawful detentions and transfers. End 287(g) Agreements. Immigrant and civil rights advocates have rung the alarm for years about the 287(g) program, which also undermines community policing, incentivizes racial profiling, and has been at the heart of some of the worst abuses of immigrants’ civil rights. O’Malley will end the 287(g) jail programs, which are not mandatory and are an outdated and inappropriate way to enforce immigration laws. Respect the Autonomy of States and Localities in Immigration Enforcement. Many states and localities have set policies that limit their cooperation with immigration authorities. The intention of these policies is to protect residents’ rights and build trust between law enforcement and immigrant communities. Many sheriffs and law enforcement officers strongly support these policies because they allow local enforcement to more effectively promote public safety. O’Malley will strongly oppose Congressional efforts that disrespect the autonomy of states and localities by coercing them – through the withholding of federal funding or other mechanisms – to rescind these policies. End the Coercion of Local Law Enforcement through Civil Immigration Warrants. Law enforcement officers across the country refer to the National Crime Information Center (NCIC) to find out if a person in their custody has outstanding warrants. However, in recent years, ICE has entered civil immigration warrants into NCIC, confusing local police and producing unlawful arrests. O’Malley will provide clear direction, guidance, and training to local and state law enforcement agencies that they do not have the authority to arrest immigrants on civil administrative warrants. Effective immigration policy includes border security that bars those who wish us harm, and facilitates the entry and exit of others. However, this goal requires a functioning and efficient legal immigration system. Modern border security extends well beyond the U.S.-Mexico border and recognizes that we must be vigilant and judicious at all U.S. ports of entry. CBP plays a critical role protecting the American public. In order to effectively secure the border, CBP officers must have the tools, trust, training, and support they need to honorably do their jobs and keep Americans safe. Promote Smart, 21st-Century Border Security. Existing border security efforts can be wasteful and disruptive to border communities, while failing to address the fluid factors that drive migration. O’Malley will commit the resources needed to modernize and strengthen the border while respecting the rights of border communities. O’Malley will ensure that our border is secure through the strategic use of personnel and technology, extensive training and support for immigration officers, and policies that address the root causes of migration. Ensure That CBP Officers Can Serve with Pride. Politicized congressional mandates have required Customs and Border Protection to hire and deploy hundreds of agents rapidly, sometimes without sufficient training, oversight, and accountability. O’Malley will direct CBP to focus on improving the professionalism, legal knowledge, and integrity of its growing force. He will require CBP to implement the best practices in law enforcement, including equipping officers with body cameras, tracking and disclosing discourtesy and brutality complaints, providing robust training, and holding agents accountable for excessive force. Refocus Border Enforcement on Securing the Actual Border. In terms of the area policed, the U.S. border is now 100 miles inland from any land border or coast. Roughly two-thirds of the U.S. population lives within this 100-mile zone. As a result, border agents regularly patrol areas far removed from the actual border, including neighborhoods and urban municipalities. O’Malley will protect the civil rights of residents who live near the border by directing border patrol agents to focus on border security, not interior law enforcement. Focus on the Most Important Cases. Under Operation Streamline, federal attorneys criminally prosecute virtually all undocumented immigrants that enter through the Southern border for illegal entry and reentry. Thousands of immigrants who try to enter or re-enter the United States are the parents of U.S. citizens who are attempting to reunite with their children and loved ones. O’Malley will direct federal prosecutors to focus on priority cases that advance national security, address violent crime or financial fraud, and protect the most vulnerable members of society. While Governor O’Malley will use executive action to the full extent of his authority, he understands that administrative relief is no substitute for Congressional action. There is a clear consensus among the American people for comprehensive immigration reform that restores legality, confidence, coherence and pride in our immigration system. There is significant support for comprehensive immigration reform in Congress, but a failure of political will and leadership has stymied progress. Our outdated immigration system has locked out millions of people from our economy and does not meet the needs of our modern, digital, and globalized workforce. Nor does it reflect our values of inclusiveness, innovation, and dignity for all people. Securing comprehensive immigration reform has not been easy, but with new and principled leadership, and a commitment to action, O’Malley knows we can – and must – achieve it. In Maryland, O’Malley forged a new consensus to secure the rights of New Americans. As Governor, he campaigned for and signed Maryland’s version of the DREAM Act, providing all children the opportunity to afford higher education and compete in Maryland’s economy. When the law was contested, he successfully championed it in a referendum, making Maryland the first state to defend the DREAM Act at the ballot box. 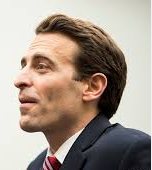 He lobbied for and signed legislation allowing undocumented immigrants to obtain drivers licenses so they could safely get to work and obey the rules of the road. Throughout his 15 years of executive experience, O’Malley forged – not followed – public opinion on immigration, bringing people together to get the job done. Enact and Implement Comprehensive Immigration Reform. Governor O’Malley will never delay nor stop fighting for comprehensive immigration reform. From the first days of his Administration, he will work with Congress to modernize our immigration system and secure a path to full and equal citizenship for New Americans. O’Malley believes that this is an economic, moral, and national security imperative – one that is enshrined in our founding principles as a nation. The basic architecture of the U.S. immigration system dates back to the 1960s. Rigid visa caps – putting unrealistic and rigid quotas on who can contribute to our country – have remained virtually unchanged since that time. This outdated system puts the United States at a serious disadvantage – making us unable, as we have in every other generation, to welcome the best and brightest people from around the world and those willing to work hard and honestly to build our economy. This includes the hundreds of thousands of students who study at and earn degrees in engineering, science, and business at U.S. universities, but are unable to apply their talents in our economy. Create an Independent Agency to Set U.S. Immigration Policy. Comprehensive immigration reform should build a new, nimble, and responsive immigration system—one that will prevent our country from ever needing to fight for comprehensive reform again. O’Malley will call for a reform bill to create a new, independent body housed within the executive branch. The agency will make recommendations to Congress regarding immigration levels and visa requirements. The recommendations would be based on rigorous and non-partisan analysis and market needs – supplying additional H-1B visas, creating new visas to attract and retain foreign innovators, establishing protections for workers, and complimenting and upholding the American workforce. Address Employment Barriers for Foreign Professionals. Roughly one out of five highly skilled immigrants in the United States is unemployed or underemployed, unable to fully contribute their entrepreneurial efforts to America’s success. O’Malley would work with states, Congress, and federal agency partners to address barriers for high-skilled immigrant workers, such as credentialing and licensing requirements and policies; and to better provide language and technical training through the nation’s workforce system. Promote Family Unity. Our immigration system has historically sought to preserve family unity, recognizing that strong families are the foundation of a strong economy. Yet long visa backlogs have kept families apart for many years, and because of a lack of procedural safeguards and due process, thousands of U.S. citizens and their family members have been unlawfully deported. O’Malley will work with Congress so that the supply of visas better meets demand. He will also reform outdated immigration bars so that previously deported individuals with U.S. citizen or lawful permanent resident relatives could lawfully return to the United States. Restore Judicial Discretion. In recent years our nation rescinded the ability of immigration law enforcement and judges to consider the individual circumstances of a person’s case. O’Malley will ensure that any future immigration legislation contains robust waiver provisions that restore the discretion of law enforcement and judges to consider individual factors—such as family and community ties; the nature, seriousness, and other circumstances of past criminal charges; passage of time; medical conditions; and contributions to community and family. Protect the Diversity Visa. The diversity visa lottery was created to diversify the immigrant population in the United States. Today, about half of diversity visa lottery winners come from Africa. O’Malley would work to ensure that future immigration reform efforts do not gut this critical program.